This article details an effort to use satellite imagery to track harmful algal bloom (HAB) events. 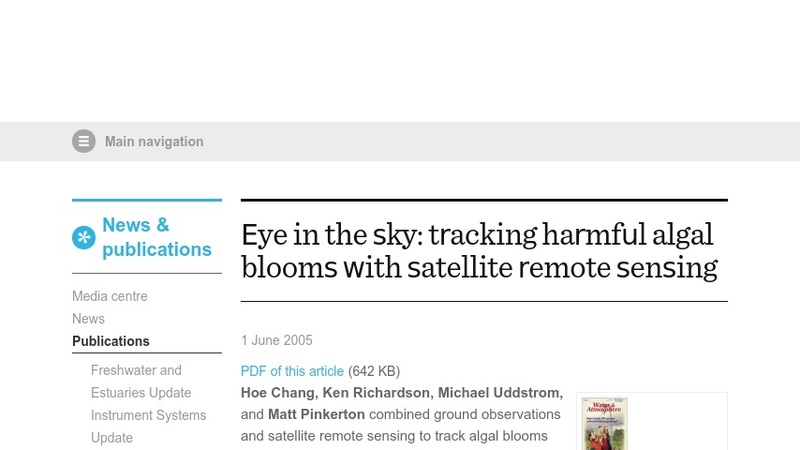 The article provides basic information about HABs, how the satellite imagery will track HABs, and potential applications of this new technology. It also features colorful pictures and a map of the study area.